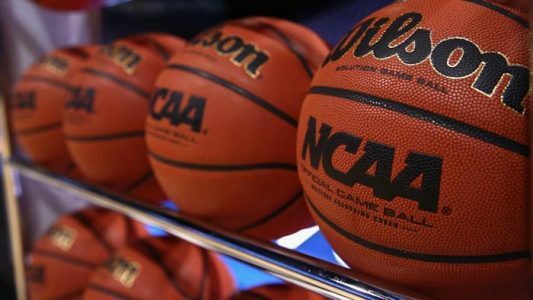 Check out our Featured College Basketball Free Picks for similar articles. This is a do or die game for Georgetown. Coach Thompson said his kids have to continue to fight and their elusive first win in Big East play will come. They are sitting at 0-4 in the Big East. Luckily, they face a St. John’s team who they have had success in the past with as many other teams have also. I think this is a pretty good spot for the Hoyas to put up a fairly big number and win by 11-12 points. The Johnnies are a very young and small guard oriented team. Georgetown has size with their guards and should give the Johnnies problems. St John’s likes to run, but that doesn’t always result in points as they tend to settle for the 3 pointer. Their defense just got torched over the weekend at Xavier and also last week vs. Creighton. While Georgetown is not as good offensively as those teams, they are a well-balanced team on offense and defense. The Hoyas will take away the open 3 and make Saint John’s work for their shot. Georgetown gets to the foul line frequently and shoot almost 75% as a team. Saint John’s tends to foul a lot as the young kids reach instead of using their feet. At 6’7, the Hoyas Marcus Derrickson could easily be the ‘X’ factor here posing a mismatch. When laying points, I want a team to be motivated and have a reason to cover the spread. Georgetown knows they can’t let this game get away from them. As a single digit home favorite against St. John’s, the Hoyas are 4-0 ATS since 2011 with wins by 22, 17, 12, and 25 points. The Hoyas are on a 4 game losing streak. Last year, they lost 4 straight and went 3-0 ATS their next 3 games. Robert Morris transfer, Rodney Pryor, didn’t score a point against Butler. Coach Thompson said he was going to talk with Pryor and I expect him to be fired up here and come away with a big game as Pryor is the Hoyas leading scorer and best 3 point shooter. At the end of the day, I want to side with the more desperate team with more motivation, size, and experience. Brandon has a 10* WINNER in College Hoops on Monday along with a 10* ‘ATS’ WINNER in the Alabama/ Clemson game. Brandon is 5-1 his L6 ‘Free’ College Basketball plays. Hope you enjoy this one.